Today our blog looks at the EPI report on school places as well as housing developer contributions and pension costs. Today, Thursday 11 April, the Education Policy Institute (EPI) has released a report on the process of school appeals and waiting lists. 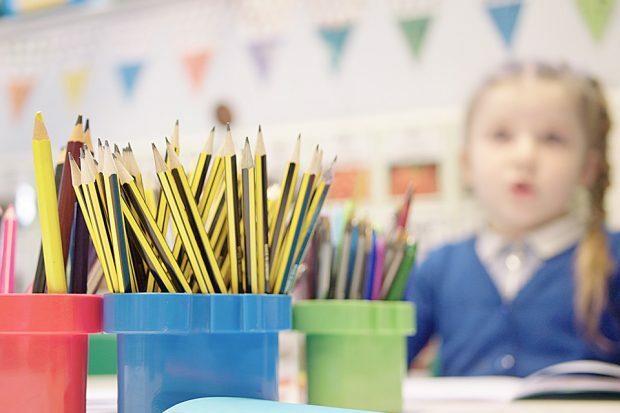 The report says that families in the most affluent areas are twice as likely as those from the poorest to secure their top choice of school through an appeal or a waiting list. This was covered by BBC Online, the Guardian, the Times and the Independent. Under the School Admissions code, priority must be given to specific groups of vulnerable children and schools are free to give priority to those eligible for the pupil premium. All state funded schools, including academies, have to comply with this to ensure all school places are allocated and offered in a fair and open way. At the end of January we launched Wave 14 of the Free Schools Programme which aims to create thousands of good school places, specifically targeting the areas with the lowest educational standards and therefore higher need. We have also provided schools with more than £15 billion extra since 2011 through the pupil premium to improve the performance of disadvantaged pupils. Standards in our schools are improving – with 85% of schools rated Good or Outstanding in December 2018, compared to 68% in 2010. We are also ensuring that good schools can expand to meet increasing demand and make high-quality education even more widely available. We are on track to deliver a million new school places this decade, giving more parents access to a good school place. In 2018, 97.7% of families received an offer of a place at one of their top three preferred primary schools and 93.8% of families received an offer of a place at one of their top three preferred secondary schools. Every parent or carer who has been refused a place at a school has the right to appeal. We have provided guidance for parents to help them understand the process and have made clear to appeals panels they must ensure the process consistent, with all parties being treated fairly. Today, we are publishing new guidance on the financial contributions that housing developers make for new school builds. This has been covered by the Telegraph and TES. The new guidance sets out how councils can seek funding from housing development in their area and use it to create school places. It also sets out how local authorities can make sure developers set aside land for schools. It isn’t enough for developers simply to build houses; we need to build communities. Schools are at the centre of any community and that’s why it’s vital that developers contribute to the cost of the school places they create. This Government is already undertaking a huge expansion in school places, with one million new places on track to be created this decade. But schools can still find themselves under pressure from new housing developments, and where they do it’s right that where appropriate developers support these costs. Yesterday, Wednesday 10 April, the department published its response to the recent consultation on the Teachers’ Pension Scheme. This has been covered by the Telegraph, the Times and the Financial Times. The Secretary of State announced that schools and colleges in England will receive an extra £940 million to ensure that teachers’ pensions remain among the most generous in the country. We will fund the increase in employer contributions from 16.4% to 23.6% for state-funded schools and FE colleges that is coming into force in September 2019. The consultation response also assessed the funding changes for independent schools and higher education institutions that participate in the scheme. State-funded schools and FE colleges were prioritised to be funded. The Teachers’ Pension Scheme is, quite rightly, one of the most generous pension schemes in the country. It’s one of only eight guaranteed by the Government because we believe it is important that we continue to offer excellent benefits to attract talented teachers. We are providing an extra £940million to cover increased costs for 2019/20 so state-funded schools and colleges can focus their resources on providing the best education. To illustrate how this scheme compares to others available: a teacher who joins the pension scheme at 23 and follows a typical career path could expect to accrue a pensions product worth around £600,000 – that’s £30,000 a year – and the average classroom teacher will benefit from at least £7,000 a year in pension contributions from their employer on top of their salary.